News broke today of a collaboration years in the making between perhaps the most significant timepiece companies, Rolex / Tudor and Breitling.Known as one of the leaders in Chronograph manufacturing, Breitling has leant its expertise to Tudor for a brand new interpretation of the Breitling B01 movement. The modified B01 movement, now branded the Tudor MT5813 in-house chronograph, brings a column wheel mechanism, vertical clutch, COSC certification and a 70-hour power reserve to the just announced Tudor Heritage Black Bay Chrono. At $5,050 for a manufacture movement with both a stainless steel bracelet and denim inspired fabric strap, this timepiece is perfect for new timepiece enthusiasts or those looking to add a new timepiece to their extensive collection. 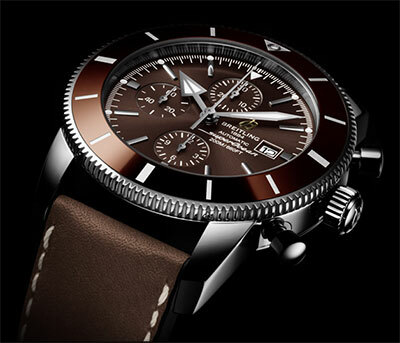 Today, Breitling announced a brand new, re-designed Superocean Heritage II for the 60th anniversary of the timepiece. The timepiece boasts a brand new ceramic bezel that replaces the metal bezel insert; something that’s been on the wish list from Breitling enthusiasts for some time. Inside, however, is a big surprise. Here we see another collaboration from Rolex/Tudor and Breitling comes the Manufacture B20, a modified Tudor Caliber MT5612 with COSC certification and a 70-hour power reserve. Notably, the new movement will be powering not just the Superocean Heritage II 46, but also the 42mm version as well. Will we see any more collaborations in the future? With the recent rumors of a major timepiece manufacturer being up for sale, do these releases mean something bigger could be in the works?